The Foreign Minister who became very important while he served as one of the leaders of Austria (1809-1848). Became ambassador of France as a sort of family position, but would take his power a step further by marrying the daughter of the Chancellor. Becoming ambassador to France at a time when this was a very important relationship would cause him to become more powerful than his counterparts. Most of the deals that were made between the 2 countries were created by Metternich in order to attempt to keep Austria powerful in Europe, including Napoleon’s marriage with Marie Louise. After becoming the main ambassador for the Austrians and being sent all over Europe to promote the concept of monarchy everywhere. His most lasting legacy was found in trying to keep the balance of power in Europe in the hopes of keeping things the same as long as possible, but while he was in favor of the monarchy, he also helped push a number of democratic reforms in his country. The decision to allow the Hungarian Diet (the senate) to meet again in the hopes of getting an approval for the financial reform he needed. After he led the Congress of Vienna, he was given the title of Prince, and many people believed that he had more power than the King or the Queen at that point. For this reason, when troops opened fire on angry protesters, killing 5 people, the people of Austria would blame him instead of the monarchs. The students that led this protest would offer a deal with the monarchs that hinged on removing Metternich from power and the King would agree. He agreed to resign because he knew it was the only way to calm things down, but his resignation would end an era of social conservatism in Austria. After the resignation he left the country in fear for the level of hatred against him. While he had become very unpopular over the years, his reputation had healed a great deal by the time of his death. The funeral for him in Vienna would be an amazing spectacle, but one that the foreign press would ignore. Historians see him as one of the most well-known and important politicians in the history of the world. 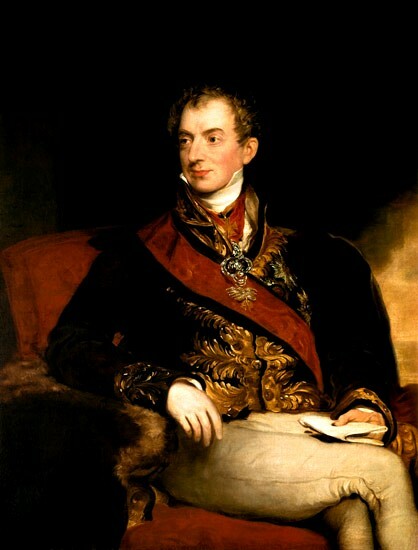 He was the leader of an era they call the “Age of Metternich,” which is a term for the time period in which he held a great deal of sway over international politics. Some claim that his power was a coincidence based on the time period he came to power, even going as far as to call him the “most boring man in European history.” Later historians saw him as a person who tried to slow down changes that would be seen as positive progress to most. He was well known to have hated all liberalism and tried to deal with it through censorship, spies, and arresting liberal leaders. A few historians even go so far as to claim that WWI wouldn’t have happened without some of the changes he made in Austria. Still, he is among the only politicians in history to make a worldwide name for himself, so he continues to be important to historians everywhere.